Amit is a seasoned executive and entrepreneur with a proven track record of leading high-growth and highly innovative organizations. Before joining Avi Networks, he was the CEO of Zenprise which emerged as a market leader in the Enterprise Mobility Management Market and was acquired by Citrix. Prior to Zenprise, Amit served as CEO at TerraCotta, Inc. and helped establish it as the dominant player in the distributed caching space. Terracotta was acquired by the European software giant, Software AG. Before TerraCotta, Amit spent nearly a decade at NetApp in a wide range of executive positions. Amit also worked at McKinsey & Company, focusing on strategy development for high-tech companies. 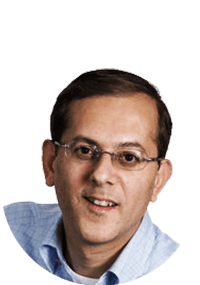 Amit holds Master of Business Administration and Master of Science degrees from the Massachusetts Institute of Technology (MIT) and a Bachelor of Science degree from Brown University. With over 20 years of expertise in Distributed Systems, Networking, and Storage, Murali was most recently the Vice President of Software Engineering for the Data Center group at Cisco, having joined through the acquisition of Andiamo. 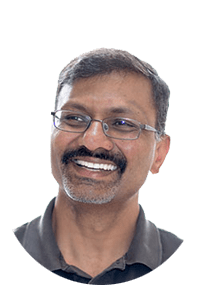 Prior to Cisco and Adiamo, Murali was an Architect at Shasta Networks (acquired by Nortel), where he led the architecture for the innovative Shasta Broadband IP Services Platform - a distributed multi-subscriber services platform. 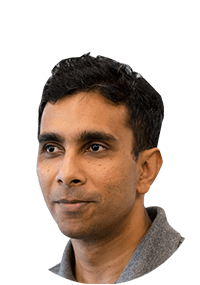 Murali has a Master of Science degree in computer science from Arizona State University, a certificate from the Stanford Executive Program, and over 20 patents to date. Over the last 15 years prior to co-founding Avi Networks, Ranga has been an architect and developer of several high-performance distributed operating systems as well as networking and storage data center products. Before his current role as CTO, he was the Senior Director at Cisco’s Data Center business unit, responsible for platform software on the Nexus 7000 product line. Joining Cisco through the acquisition of Andiamo where he was one of the lead architects for the SAN-OS operating system, Ranga began his career at SGI as an IRIX kernel engineer for the Origin series of ccNUMA servers. Beginning his journey with a Master of Science degree in electrical engineering from Stanford University and a Bachelor of Engineering in EEE from BITS, Pilani, India, he now has several patents in networking and storage. 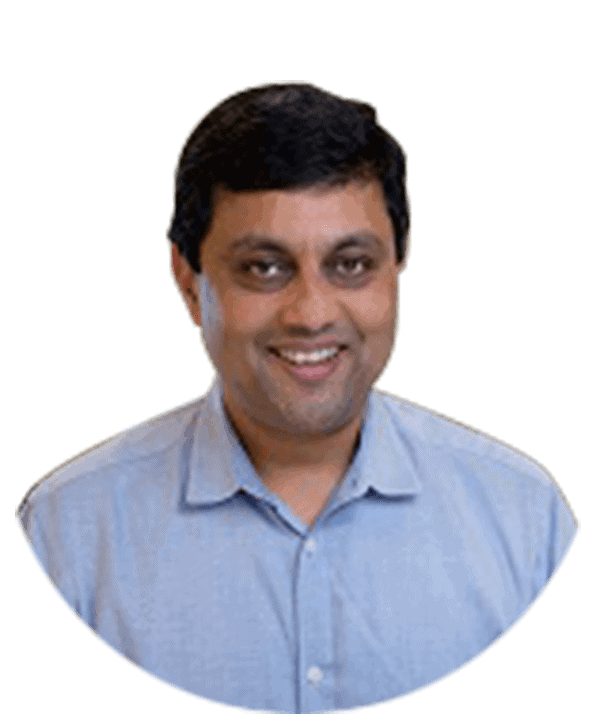 Ashish Shah is VP of Product Management and Technical Marketing at Avi Networks, where he drives product roadmap, pricing, sales enablement, and competitive analysis. Ashish has over 20 years of experience in product management, product marketing, business development, and software development across both large and small companies in the technology industry. 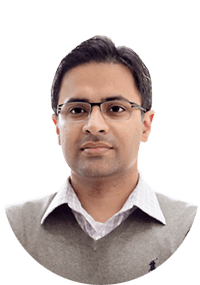 Ashish has an MBA from UC Berkeley Haas School of Business and a Masters in Electrical Engineering from Stanford University. Chandra Sekar brings many years of experience in marketing, product management, and engineering for enterprise software to his marketing leadership role at Avi Networks. Prior to Avi Networks, he was Head of Product Marketing at Illumio Inc. Before that, he led enterprise mobility marketing efforts at Citrix Systems as Senior Director for the mobile business unit and the XenMobile product line. Prior to Citrix, Chandra held various marketing, product management and engineering leadership positions at Zenprise (acquired by Citrix), McAfee, Align Technology, and Cemax-Icon Inc. Chandra started his career as a software engineer at Talx Corporation where he developed distributed data communications platforms for IVR telephony systems. Chandra holds an MBA from U.C. Berkeley’s Haas School of Business and an MS in Electrical Engineering from Southern Illinois University. Edward is responsible for finance and administration at Avi Networks, where he was previously Chief Strategy Officer & VP Alliances. Before joining Avi, Edward was Chief Strategy & Technology Officer at PMC-Sierra, a public semiconductor solutions company serving the storage and networking industry, which was acquired by Microsemi. He also served as CEO of Quorum Labs, an instant recover cloud service provider, and held many roles at NetApp, from sales and alliances to product leadership and general management. Early in his career, Edward worked at McKinsey & Co. 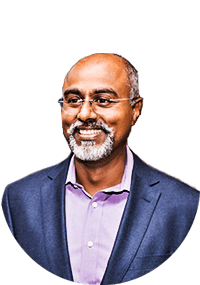 He holds a Bachelor’s degree from Oxford University in engineering, economics and management, and a Masters in electrical engineering from Stanford. Mark is a strategic sales executive with over 25 years of solution sales experience at scale with large, matrix organizations such as Cisco and HP, Digital Realty, as well as venture firms across multiple technology domains. Mark has a knack for building and leading teams that solve complex business problems with innovative, technology-oriented solutions for customers with impact. Mark is a high energy collaborator who thrives on aligning the go-to-market approach to optimize direct, channel, ecosystem, lead gen. and customer success for results that consistently accomplish customer and business goals. He is a creative, intellectually curious field leader with enterprise SaaS software, cloud application security, DevOps, cloud/hybrid cloud and hyperscale data center infrastructure domain expertise. Mark has a passion for developing talent, quality customer engagement, and global account engagement done well. 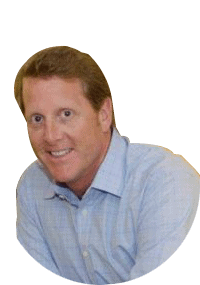 Mark is a UCLA graduate and has an MBA from the Kellogg School of Management, Northwestern. Marichal brings over 20 years of experience in the networking, security and datacenter industry. Prior to joining Avi Networks, Dirk was Vice President for EMEA & India at Nutanix. In his three years at Nutanix, Dirk grew business in his territory achieving the fastest growth and a run rate of over $150M. His region contributed over 25% of the global bookings for the company. 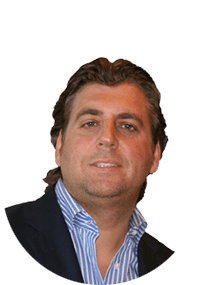 Prior to Nutanix, Dirk was VP EMEA for Infoblox, where he was responsible for the strategy and development of the entire EMEA business. He helped establish Infoblox as a leader in network infrastructure automation market in EMEA, taking the company from its position as a relatively unknown startup to revenues in excess of 200 million, followed by a successful IPO in 2012. Prior to Infoblox, Dirk served on the management teams of Mobistar, Netscreen and Juniper Networks. Dirk holds a B.A. degree in Economics and International Business Administration from Antwerp University. Jill is responsible for all Company legal functions and oversight, including corporate governance, intellectual property, commercial agreements, litigation and stock administration. Throughout her career, Jill has advised leading technology companies in Silicon Valley on a variety of issues, including corporate securities, mergers and acquisitions, commercial agreements, intellectual property, and litigation. Before joining Avi Networks, Jill was the Senior Director, Legal and Operations at FireEye, where she managed the commercial team, built the global compliance and legal operations functions, managed international expansion and integration of acquisitions and strategic transactions. Jill also served as a Director on the Board of FireEye Ireland Ltd. Prior to FireEye, Jill spent 12 years at NetApp and was a key contributor to the growth and expansion of the Legal Department. She was responsible for corporate securities, public company reporting and compliance, commercial contracts and building the company-wide commercial legal team. Jill received her B.A. in English Literature from the University of California, Los Angeles and her J.D. from Santa Clara University. Amy is a seasoned Human Resource and Talent Acquisition leader. She has helped scale high performing teams throughout the valley in her 20+ years of experience. 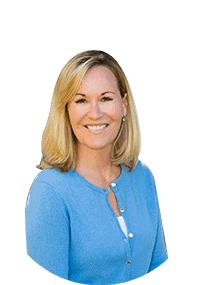 Prior to joining AVI Networks, Amy was integral in coaching the management and growing key organizations at Palo Alto Networks. Before joining PANW, Amy was at Network Appliance where she held senior leadership roles in both Human Resources as well as Recruiting. During her seven years there, she provided all strategic and operational support for R&D, WW Marketing, as well as Mergers and Acquisitions, including the recruitment of key executives within these functions. She was also a part of the team that was in charge of setting up the first development and support office in Bangalore India. Amy began her career in Talent Acquisition and remains passionate about finding the right people who will help scale a company to the next level. She holds a BS in Psychology from Brigham Young University. On board with the founding team since the inception of Avi Networks, Guru helped define the product, drove initial customer development, product messaging, and technical partnerships. Guru is currently an Advisor and was Vice President of Product at Avi until December 2018. 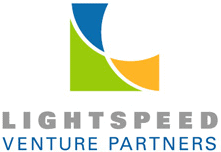 In his current role as Partner at Lightspeed Venture Partners, he focuses on networking, security, cloud, DevOps, and infrastructure management. Previously, Guru was the Director of Product Management at Cisco Systems for the Unified Computing System product line - a multi-billion dollar business for Cisco. Guru joined the UCS team before it shipped, helped define the product strategy and roadmaps, and was ultimately instrumental in ramping UCS traction. Before his time at Cisco, Guru held operational roles at Nuova Systems (acquired by Cisco Systems), and Tropos Networks (acquired by ABB). An alumnus of Harvard Business School and Purdue University, Guru holds several patents in networking. 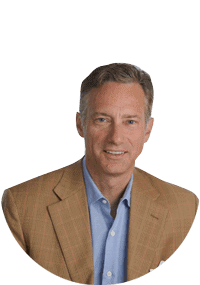 Mark Anderson is Executive Chairman at Avi Networks. Previously he was President at Palo Alto Networks, driving sales, go-to-market, support, customer satisfaction, and business and corporate development. Prior to that, Mark was the Senior Vice President of Worldwide Field Operations at Palo Alto Networks since June of 2012. Previously, Mark was Executive Vice President of Worldwide Sales at F5 Networks, where he oversaw all sales activities for the company beginning in 2007. Prior to joining F5 in 2004, he served as Executive Vice President of North American Sales at Lucent Technologies. Mark has also held sales leadership positions at RadioFrame Networks and Comdisco. He served as the Western United States Regional Sales Director for Cisco Systems from 1997 to 2001. Mark is actively involved at the University of Washington: he is a member of the UW Tyee Board of Advisors and is a founding member of the Advisory Board to the Foster School of Business' Sales Certificate Program. Anderson holds a B.A. in Business and Economics from York University in Toronto. Asheem Chandna is a Partner at Greylock Partners, where he is focused on helping entrepreneurs create and build the next generation of enterprise IT companies. He has helped create and build multiple technology businesses to market-leading positions - both as a venture capitalist, and as a former product executive. His current company boards include AppDynamics, Aquantia, Avi Networks, Delphix, Palo Alto Networks (PANW), and Skyhigh Networks. Previous company boards and/or investments include Aruba Networks (ARUN), CipherTrust (INTC), Imperva (IMPV), NetBoost (INTC), Sourcefire (FIRE), PortAuthority Technologies (WBSN), Securent (CSCO), Xsigo Systems (ORCL), and Zenprise (CTXS). Asheem joined Greylock in 2003 from Check Point Software (CHKP), where he was vice-president of business development and product management. Born and raised in India, Asheem holds B.S. and M.S. degrees in electrical and computer engineering from Case Western Reserve University. 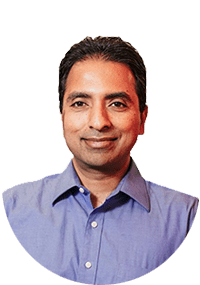 Asheem was included in the 2013 and 2012 Forbes Midas lists of top technology investors, and the 2013 and 2012 AlwaysOn VC 100 lists. Venky Ganesan is a Managing Director at Menlo Ventures and focuses on investments in the consumer and enterprise sectors. He currently serves on the board of Avi Networks, BitSight, Gild, Handle, Machine Zone, Takipi and Waterline Data Science. 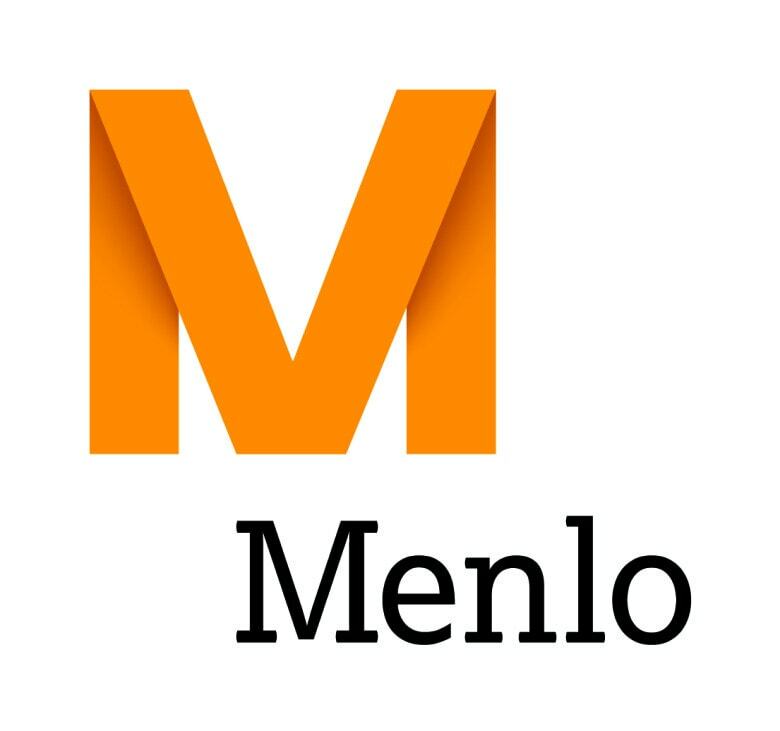 Prior to joining Menlo in 2013, he was a Managing Director at Globespan Capital Partners where he was part of the investment team since the firm's inception. 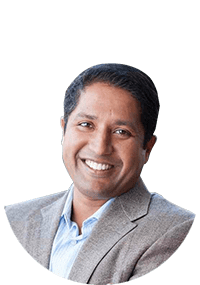 At Globespan, Venky led numerous successful investments including Palo Alto Networks (PANW), Amobee (Acquired by SingTel), Exeros (Acquired by IBM), Jajah (Acquired by Telefonica ), Sendia (Acquired by Salesforce.com) and Trigo (Acquired by IBM). In addition, he also led investments or served on the boards of the following private companies: Bityota, Gild, Kaminario, Marketlive, Nominum, oDesk, Redfin, Rev, SMSGupshup, and Strongmail. Venky was recognized on the 2013 and 2014 Forbes Midas List. Prior to Globespan, Venky was one of the founders of Trigo Technologies and has previously worked at McKinsey & Co. and Microsoft. Venky holds a B.A. in Economics-Math from Reed College and a B.S. in Engineering and Applied Science with honors from the California Institute of Technology. Barry Eggers is a Partner of Lightspeed and focuses primarily on information technology infrastructure, with a specific interest in cloud computing, big data, storage, consumerization of IT, and networking. He has 15 years of venture capital experience, 10 years of operating experience and has been named to the Forbes Midas List of top 100 investors multiple times. 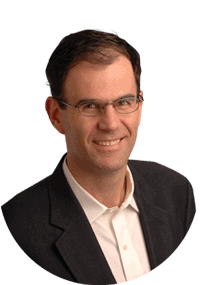 Barry works closely with Avi Networks, MapR Technologies, Nimble Storage, Pertino and youwho. His past investments include Pliant Technology (acquired by Sandisk), Calista Technologies (acquired by MSFT), Arbor Networks (acquired by DHR), Growth Networks (acquired by CSCO), Maker Communications (acquired post-IPO by CNXT), Metasolv Software (acquired post-IPO by ORCL), Sirocco Systems (acquired by SCMR), and Telogy Networks (acquired by TI). Prior to joining Lightspeed, Barry held executive roles in business development and general management at Cisco Systems from 1991-1997. Barry holds a BA in Economics and Business from the University of California, Los Angeles and an MBA from Stanford University Graduate School of Business. Barry is a member of the UCLA Economics Board of Visitors. Dan Warmenhoven is the former executive chairman (2009 – 2014) and CEO (1994 – 2009) of NetApp. Under Dan‘s leadership, NetApp grew to become a multibillion-dollar company and a recognized market leader in networked storage, a concept the company pioneered. Dan led the company's initial public offering in November 1995. In August 2009, Dan received the Morgan Stanley Leadership Award for Global Commerce. He is a director of Bechtel Group, Inc., Big Switch Networks, Cohesity, and Palo Alto Networks. Dan is also on the board of the Tech Museum of Innovation as well as a trustee of Bellarmine College Preparatory, both in San Jose, California. In June 2007, Dan received an honorary degree from Santa Clara University for his dedication to global business and technology leadership and in 2006 was named one of the "50 Most Powerful People in Networking" by Network World. In 2004, he won the prestigious "National Ernst & Young Entrepreneur of the Year" award, and in 2001 BusinessWeek named Dan one of its "Top 25 Managers" for the year. Nick Pianim joined DAG Ventures in 2007. He focuses primarily on enterprise software/SaaS, infrastructure, financial technology and security. 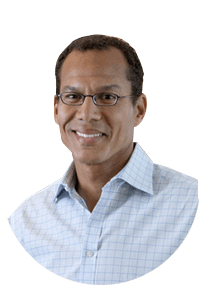 Prior to joining DAG, Nick was Vice President of Corporate Development at Juniper Networks where he was responsible for acquisitions, commercial transactions and venture investments. 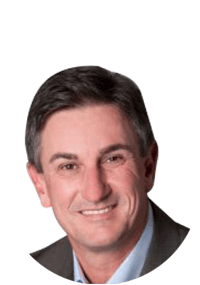 Previously Nick was CEO of iAsiaWorks, a NASDAQ listed datacenter and managed services company, and CFO for Ensemble Communications where he oversaw corporate development. He also worked with Enterprise Partners Venture Capital, and with Morgan Stanley International.